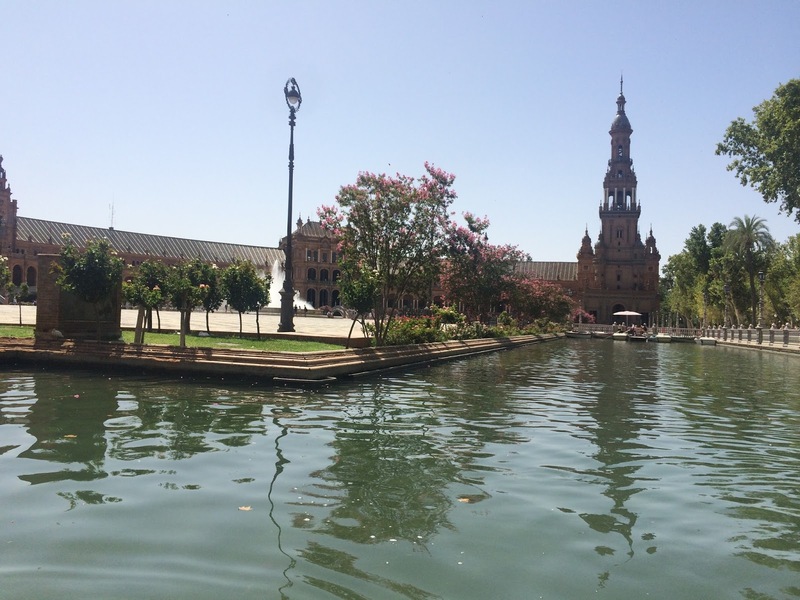 Dainty Kane have created a guide to Seville to help you plan your trip to this beautiful Spanish city steeped in history. How can I get to Seville? You can fly directly into Seville airport although it can be difficult to find departing airports that fly this route. Alternatively you can fly into Malaga airport then catch the train from Estacion de Malaga Maria Zambrano to Seville, Santa Justa station. 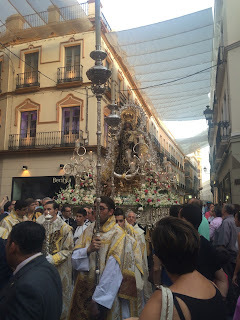 The train journey takes around 2 and a half hours which goes through scenic Spanish countryside, before reaching Seville it stops in Cordoba so if you wish you could spend the day here before travelling to Seville. Where should I stay in Seville? We stayed in a fantastic city centre penthouse apartment which was a great sunspot. The apartment had all the essentials plus little luxuries like a wide screen TV and an espresso coffee machine. The apartment is owned by a company called 'AT Sevilla Centro' who own several apartments around Seville. The apartment we stayed in was called the 'Deluxe Two Bedroom attic with Terrace- Plaza Magdalena, 3' which was located at the top of a residential building. On arrival a rep from AT Sevilla Centro greeted us with the keys and showed us around, he also gave us some great tips on things to do during our stay in Seville. The apartment sleeps 4 and worked out at £114 per night. 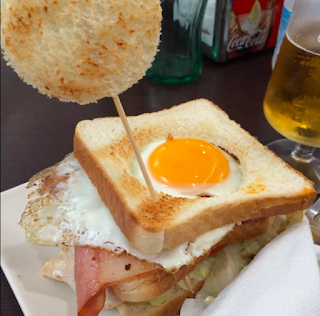 Where is good to eat in Seville? There are lots of options in Seville, you can traditional Spanish restaurants, tapas bars (on almost every street), Italian restaurants and indian curry houses too. A must visit when in Seville. This restaurant was founded in 1670 but still manages to bring in the crowds every day which says a lot. This restaurant is popular with Families, groups and couples too. You can sit indoors or outside on the square. It is the perfect place to try real traditional Spanish cuisine, they have a fantastic selection of main dishes and tapas. Looking for something a little different? 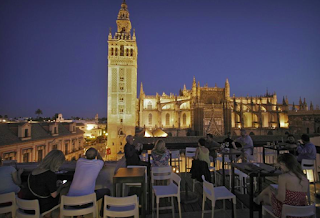 For a unique dining experience try La Terrazzo Restaurante Panoramico de EME. They offer fantastic taster menus which give you the opportunity to taste a variety of gastronomic delights! 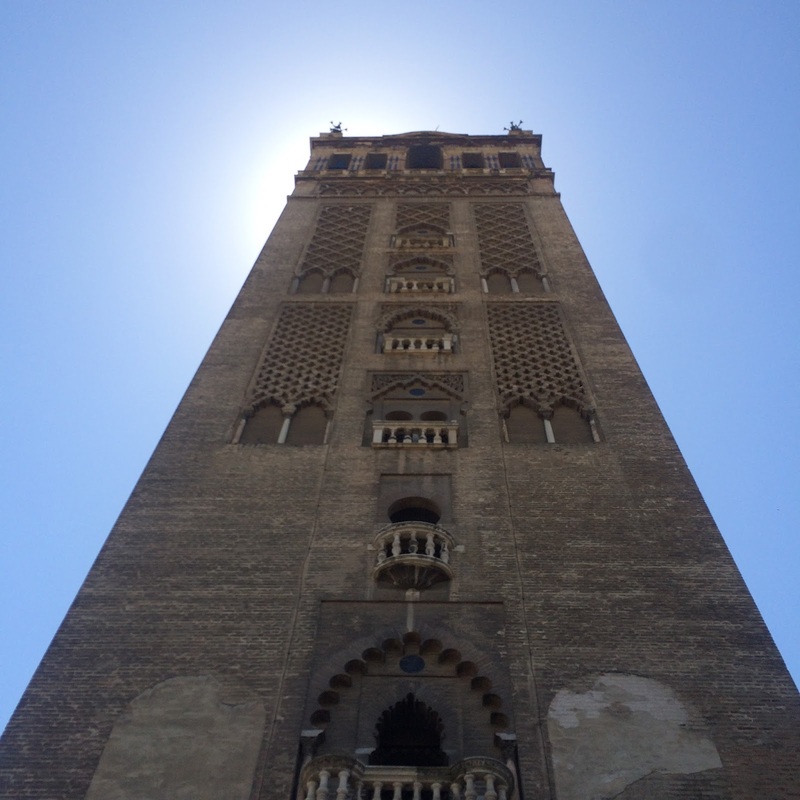 What are the best things to do and see in Seville? Plaza de Espana, Seville (A huge park located outside of the city centre, which includes a boating lake, cafes,beautiful buildings and gardens). If you want to learn to cook some of the local classics there is no better place than 'Taller andaluz de cocina' - cooking school. The class is located in the Triana food market (just over the Triana bridge). 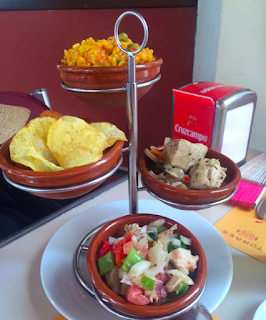 I would recommend arriving early to explore the fresh food stalls and bars in the Triana market for some tapas, pinchos and live music. 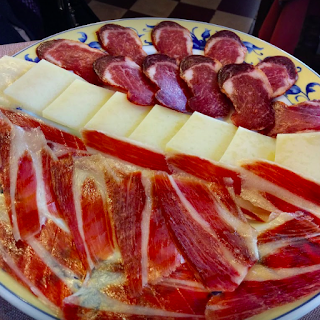 The stall at the Triana food market offer great local produce for a fraction of the price you would pay in the UK or US such as serrano ham and sherry vinegar. We took part in in the Spanish Evening cooking class. The class itself takes around 3.5 hours and is very relaxed, Victor is a skilled chef who leads the class. He takes great attention to detail and explains each ingredient and recipe plus gives fantastic tips. Spanish omelette (As simple as it sounds learning the proper recipe for this was invaluable, it tastes restaurant quality). You get to learn how to create the recipes step by step then sit down to eat your culinary creations with a cold beer or glass of wine. The class cost €50 per person and was definitely value for money. Book online here or contact Victor to book directly via email info@tallerandaluzdecocina.com . Seville has a great mix of high street stores such as Zara and H&M alongside Spanish boutiques. There are a lot of homeware stores so if you are looking for unique finds for your home this is the perfect place. The markets such as the Triana Market are a fantastic place to pick up dried fruits, cured meats, sauces and oils to take home with you. 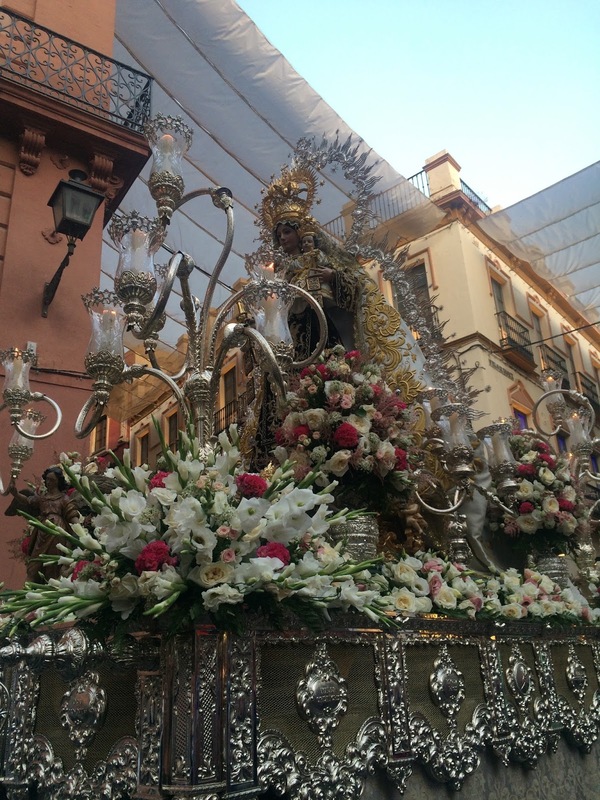 Whilst in Seville you will come across some beautiful churches but during La Semana Santa, Holy week you will get to see the huge procession that takes place and goes around the whole city. It starts in the morning and goes on right into the early hours. There are floats, musicians and prayers said and residents come out to the streets to pay their respects along the way.